In only the past eight years, the aggregate U.S. government debt has soared by a historically unparalleled $9 trillion. Since President Obama took office, it has exploded from $10.6 trillion to reach $19.7 trillion. This nearly doubling of the public debt in under a decade should concern you. The trend does not look to be reversing any time soon either. For the fiscal year 2016 the Federal government just closed the books on, the Feds poured another $1.4 trillion on to the mountain of US debt. This is the third highest annual debt increase in American history, and all when neither a war was being fought nor any significant improvements made in the national infrastructure. With the trend rapidly accelerating towards national insolvency, you might say that the U.S. election is merely a battle for who will be the next captain of the already sinking Titanic. Yet Joseph Stiglitz the Nobel Prize winner for economics argues that there is no reason to be concerned regarding the enormous national debt. Per Joseph Stiglitz, no one looks at only a major company’s debt when considering its future prospects. You would also take into consideration a variety of other characteristics, such as its income, assets, and growth before you make a determination of the financial status of the company. To be fair, Stiglitz is right about these other factors mattering. If you look at a country like Norway or Switzerland, you do see nations whose debt pales in comparison to their income, assets, and growth. Sadly, the United States is not a country on this positive fiscal short list. Determining this is not rocket science, thanks to the U.S. Treasury Department. They put out periodic financial statements that relay the government’s income versus expenses and liabilities versus assets. The first part of the equation is not pretty. The government is hemorrhaging out literally billions of dollars every year in substantially greater expenses than income. The trend continues to be negative. Regarding the liabilities measured against assets, the balance sheet is similarly underwater. The Federal Government itself admits to having only $3.2 trillion worth of assets at the same time as it boasts $21.4 trillion in liabilities. This equates to a negative net balance sheet total of -$18.2 trillion. It is an untenable negative position no country or company has ever been in throughout the history of the entire world. A significant number of economists will insist that the American government has other assets that translate to trillions of dollars. Among these are the military, the taxing authority of the federal government, and even the federal highway network. If you are going to count these as assets, you should not forget the more than $40 trillion worth of liabilities that are not funded in Social Security and Medicare. You should also be aware of the fact that the debt load of the United States is amassing at a significantly faster pace than the growth rate of the underlying economy. Consider the fact that when President Obama began serving, the public debt of the U.S. represented 73% of the nation’s Gross Domestic Product. In 2016 this figure is 105%. The economy may have grown in those eight years, but the debt growth has outpaced it massively. An insurance policy against U.S. debt default is what you need. Fortunately, such a protection exists in the form of gold and silver bullion. Gold is denominated in all currencies and not tied to any single one, and it will never be negatively impacted by government’s defaulting on their debt. 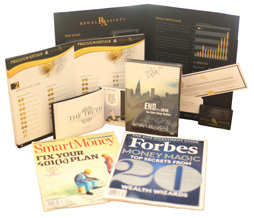 Make sure you download your free information kit from Regal Assets, America’s top gold IRA company, and get started protecting yourself. 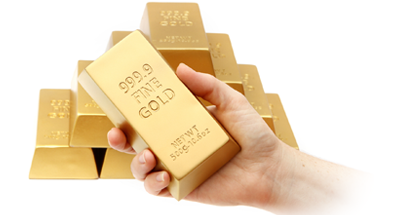 Buypreciousmetal.com strives to provide you with reliable and detailed reviews of companies engaged in gold investing including popular companies that deal in precious metal investment such as Regal Assets. We believe Buypreciousmetal.com is one of the best place to get educated on precious metals investment. The owners of this site have made it easy for you to find and access important 3rd party ratings that have helped from the reviews found on this site. Complete the form below!! "A valid USA phone number is required"
* denotes a required field. 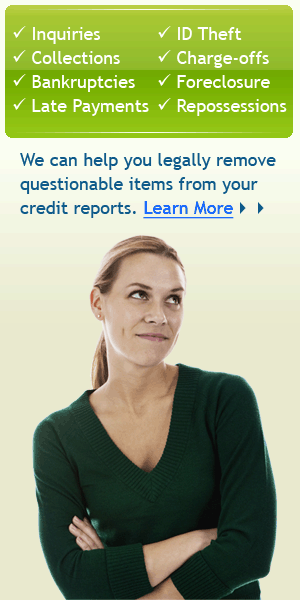 Prior to your account activation, one of our Regal Assets representative will contact you.